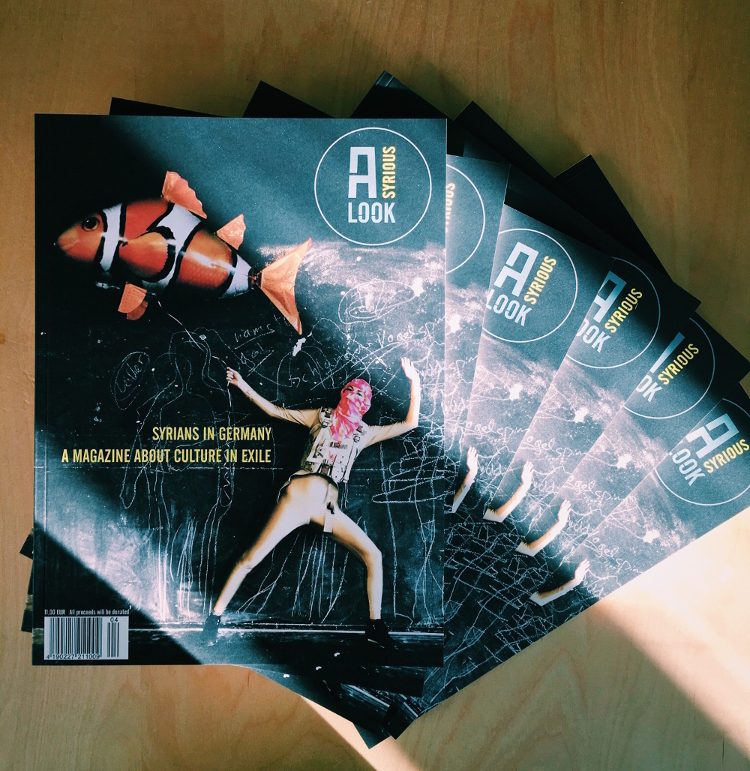 In late November 2016, we – the Syrian-Palestine poet and screenwriter Mohammad Abou Laban, the Syrian theatre director Ziad Adwan, and the German publisher Mario Münster – released „A Syrious Look“ – the first magazine about Syrian Culture in Exile; made in Berlin by an international team. We take the proceeds from the magazine sales to support cultural initiatives in Syria. Right now we collaborate with Al Caravan, a group that released a kids book that was made in Syria.